It's this time of year where I tend to float about based on the weather, and if there isn't anything obvious then my local gulls get a look in. Last Sunday, feeling a bit jaded from the previous day's travel to the Hebrides and back, found me at Thames Barrier Park. A couple of times a year, they close the gates on the barrier for routine maintenance and the gulls go wild. 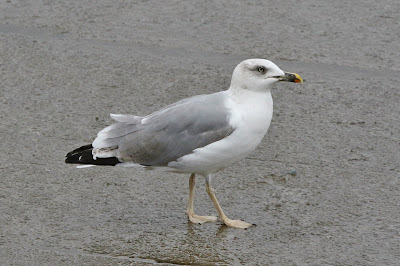 Despite the large numbers, there was no Caspian Gull unlike the week before. 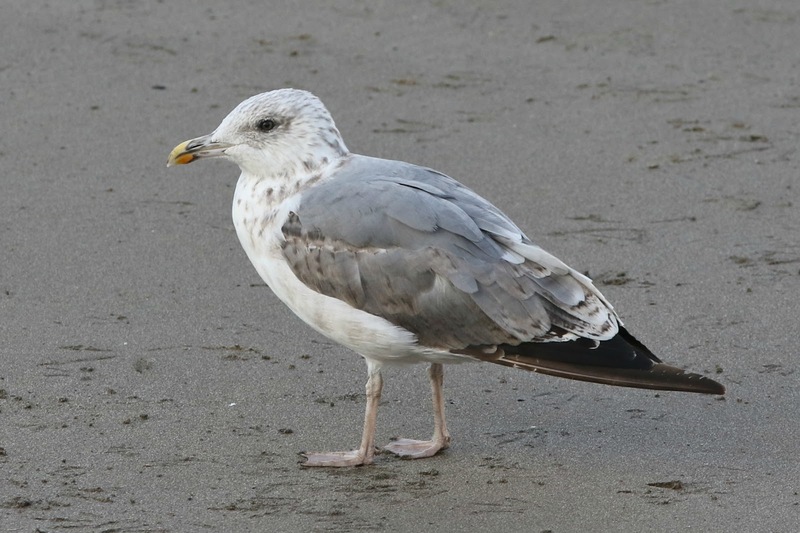 Around eight Yellow-legged Gulls, but that was it. And because there was so much food, they weren't that fussed about my loaves. Meanwhile back in Rotherhithe, this third-winter bird was a bit more obliging on the slipway just east of Greenland Pier. I stayed local today too, for my sins. A walk around Russia Dock Woodland was quiet, with little of note. 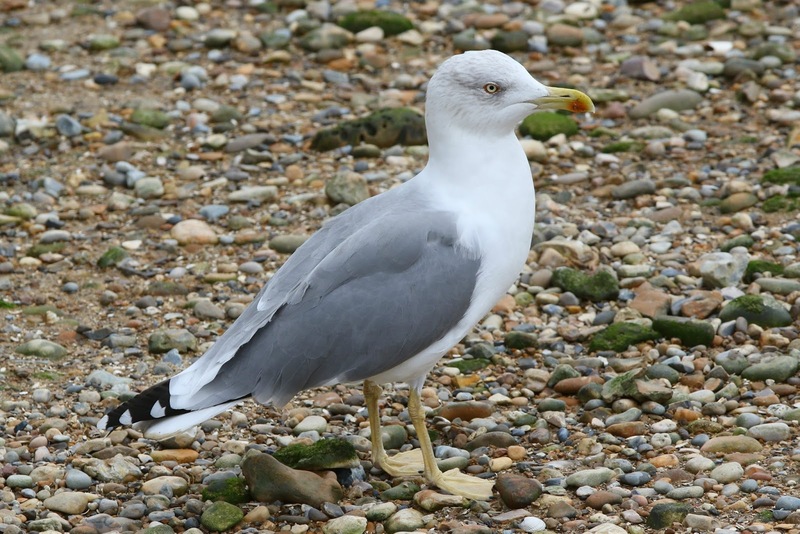 Genuinely, it was a really quiet day - four Yellow-legged Gulls (adult, two 1st-summers and a juvenile) at Thames Barrier Park, nothing of interest at the O2 and then just the presumed hybrid Herring x Lesser Black-backed Gull on the beach in Rotherhithe last thing.